Krishan incense sticks, full box of 120 incense fragrance sticks. A delicate blend of natural aromas that lends purity and sanctity to the atmosphere. Finest Indian hand rolled incense joss sticks. Full box contains 6 packs = 120 incense sticks. 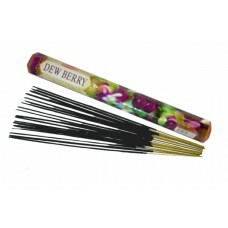 Features Perfume fragrance hand rolled aromatic Indian incense sticks.